This reliable model is intended for small business or personal use. 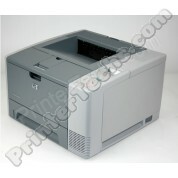 It features a built-in duplexer for double-sided printing. Small workgroup or personal laser printer. Includes a control panel display, 250-sheet paper tray, and 32MB RAM. Small workgroup or personal laser printer. 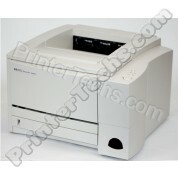 This model includes a 250-sheet input tray, 48MB memory, and a built-in duplexer for double-sided printing. Small workgroup or personal laser printer. This model includes a 250-sheet paper tray, 48MB RAM, a built-in duplexer for double-sided printing, and a JetDirect card for connecting to a network. 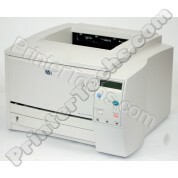 Currently out of stock -- order the LaserJet 2430D or 2430DN instead. Call us with any questions at 866-352-7108. The HP LaserJet 2420 series is a fast (30ppm) compact printer ideal for small business use or personal use. The printer includes 32 MB RAM and one 250-sheet tray. Fast, compact printer. Ideal for home office / small business use. This model includes a JetDirect card for connecting to a network, built-in duplexer for double-sided printing, 32 MB RAM, and one 250-sheet tray.